Feel free to contact us between the hours of 8am and 4:30pm should you have questions or require assistance. Your Collection Solution, LLC, is a debt collection agency specializing in debt collection services for the State of New York including NYC and the State of New Jersey. 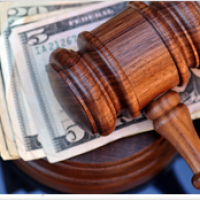 In the event you go to court and win a money judgment and a judgment debtor does not pay, Your Collection Solution LLC, a judgment collection agency, offers professional judgment recovery services for NY and NJ. Judgment recovery is often a complex process. There are guidelines and procedures that must be followed when filing paperwork, etc. Your Collection Solution LLC is experienced with judgment recovery and will provide this service to you. We will work with an attorney, sheriff, a marshal or court appointed enforcement official to attempt to locate and seize the judgment debtor’s leviable assets or garnish the judgment debtor’s wages if possible to satisfy the judgment. Learn More Place a Claim!